Devon’s favourite indie dance group – Metronomy – have been unveiled as special guests at this year’s Green Man Festival in Wales. The quartet, led by dance-pop genius Joseph Mount, will play an extended live set on the Mountain Stage on Saturday August 18. Joseph is an old friend of the Green Man, having put on an absolutely blinding night of dancefloor mischief when Metronomy curated Far Out After Dark in 2010. Since then, The English Riviera – Metronomy’s incredible third album – has catapulted the band into the stratosphere: a gorgeous, unashamed pop record full of languid, sunset funk songs tailor-made for a balmy summer’s evening. Featuring the already classic singles Everything Goes My Way and The Look, The English Riviera was undoubtedly one of the defining records of last year. 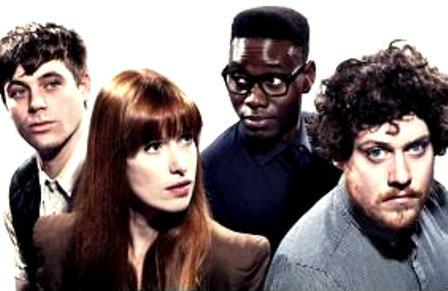 We know you’ll join us in welcoming Metronomy back to Green Man 2012 with open arms – it should be a night to remember! Head over to the Walled Garden where a whole host of top DJs (and 24hr bars) will keep the celebrations going well into the early hours. Guest DJs include. Communion DJs (featuring Michael Kiwanuka) and BBC’s Jen Long, who played a storming set last year, among others. And the great music doesn’t stop there: Chai Wallahs make sure the party will continue long into the night with over 40 live bands and DJs playing the very best in reggae, rap, blues, jazz, hip hop, dub and dance! Green Man is set in the heart of the beautiful Black Mountains in Wales. The river Usk flows around the perimeter and Table Top and Sugar Loaf mountain’s stands impressively as the backdrop to the Mountain Stage. Whilst the festival is 100% independent, it still draws a stellar line up of performers each year, spanning the music spectrum- including indie, psychedelia, Americana and folk, as well as DJs playing everything from dub-reggae to electro and stoner rock. There’s also 24hr Bars, Comedy, Cinema, literature, Einstein’s Garden, Nature & Nurture, Future Generations, and many, many more magical surprises to make sure you have the most magical weekend of your year.